Comment: Front yard landscaping and cutting grass. Comment: We have a water drainer issue with our back yard. Due to the heavy rainfall over the past several months, a spring has developed in our neighbor's yard. The water flows through the middle of our yard to the nearby sewer intake. We are looking for solutions that will move the water quickly through our yard. The distance is about 80 feet. Comment: I would like a no maintenance garden planned in my front garden bed. Possible clay removal and fill dirt needed. Comment: Home needs to be regraded in backyard before deck installation. Comment: I would like to get an estimate for getting sod installed. I have someone coming out tomorrow but would like a back up list. Laurel Landscaping Companies are rated 4.75 out of 5 based on 1,974 reviews of 51 pros. 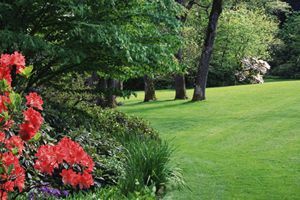 Not Looking for Landscaping Contractors in Laurel, MD?